Join us for our annual 5K Walk/Run! 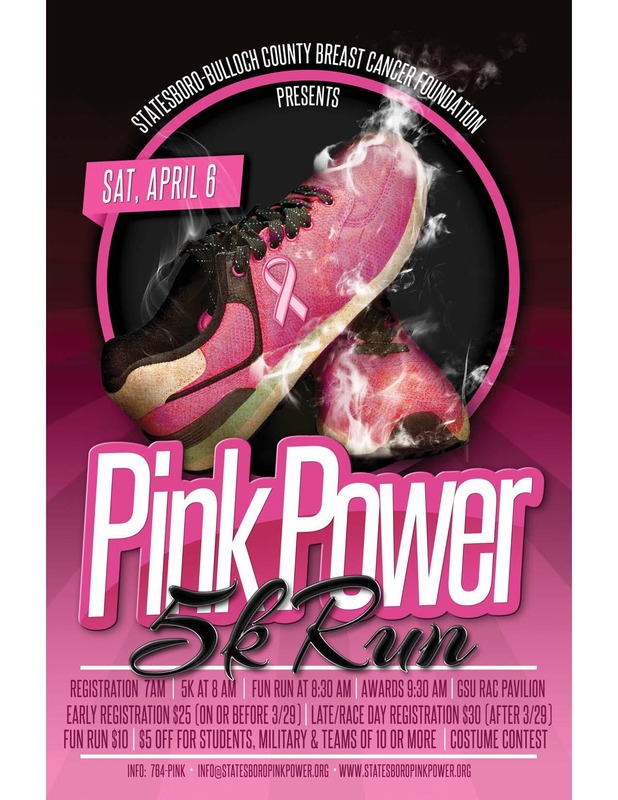 We cordially invite you to participate in the 2019 Pink Power Run 5K. Presented by the Statesboro-Bulloch County Breast Cancer Foundation, this event will raise money to assist breast cancer patients and survivors in our community. The event will be held on Saturday, April 6, 2019, on our beautiful Georgia Southern Campus with kickoff at 8 a.m. at the GSU RAC Pavilion. Awards will be given for top qualifiers of the 5K.